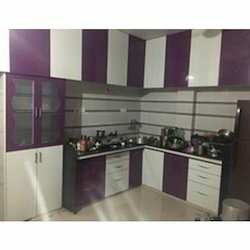 Best PVC Modular Kitchen Professionals, Contractors, Designer, Decorator in India. Available in all different sizes and thickness. 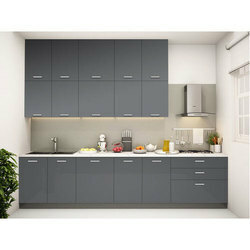 Owing to the presence of our expert team members, we are able to offer a wide range of PVC Modular Kitchen. Hayatt Interiors (Engineers & Contractors) are leading manufacture, supplier, trader, distributor, wholeseller and Exporter of a diversified range of Modular Kitchen Furniture. We are loking inquiries from Gurgaon, Faridabad, Bhiwadi, Neemrana, Delhi NCR, Noida, Ghaziabad and all over india. Available Price Range: 1100-1500/Sq. Ft.
Modular kitchen made with PVC material n Aluminum framing. Durable quality , long life, waterproof termite proof. Totally washable. N movable.